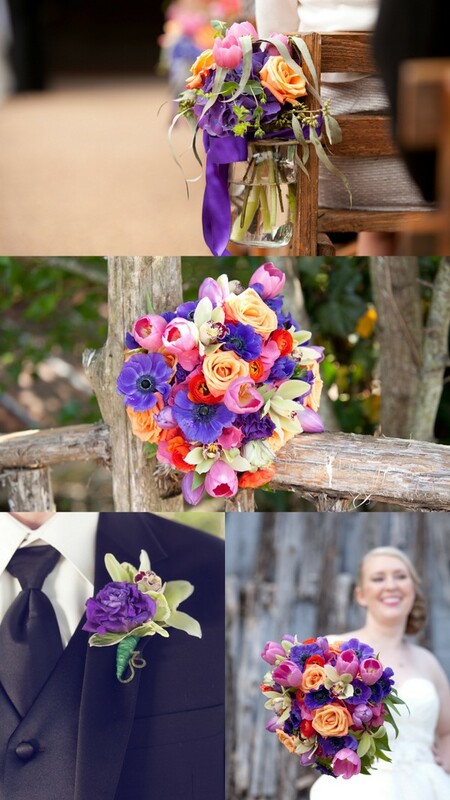 Posted in: Bridal Bouquets, Colorful Weddings, Uncategorized, Weddings. 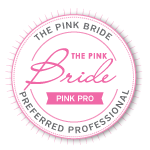 Tagged: Caprice Palmer, Enchanted Florist, Legacy Farms, Nashville Wedding Florist, Nashville Weddings. What can we say? 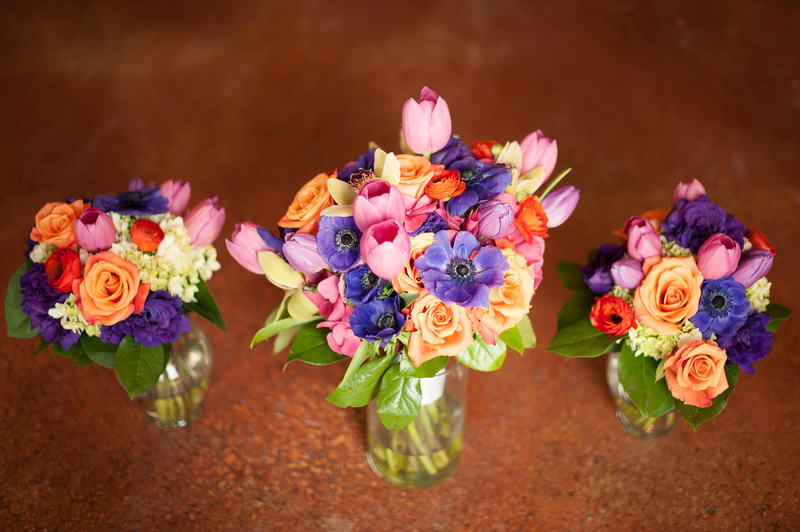 We’re suckers for a bride that loves color and today’s wedding is bursting with lots of it! Beth and Paul’s wedding was held at Legacy Farms near Lebanon and featured a color palette of soft pink, deep purple, coral orange, and intense blue. 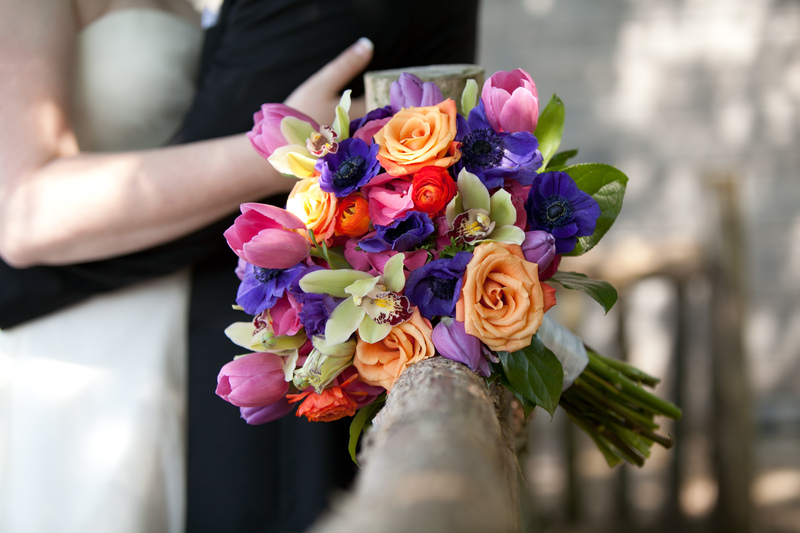 A colorful arrangement of tulips, orchids, roses and blue anemones made for a wonderfully expressive and dynamic bridal bouquet. 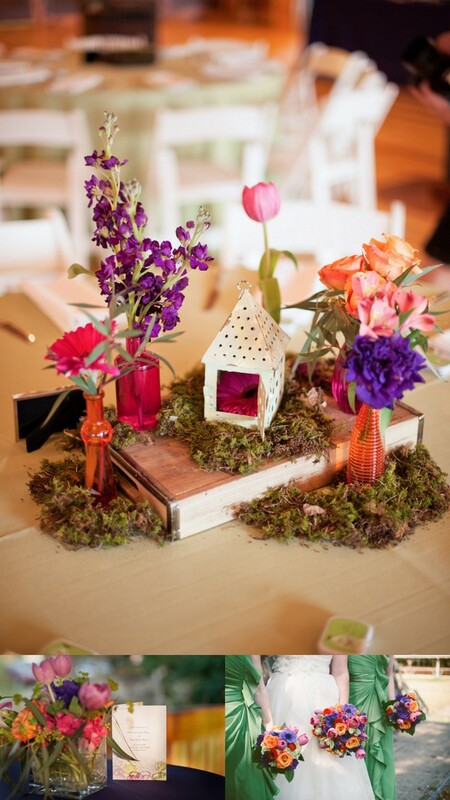 These flowers were also seen in whimsical table centerpieces that incorporated various glass vases, vintage touches and moss accents. Photographed by Erin Smagala, the pictures are stunning and beautifully capture the unique decor that made Beth and Paul’s June wedding really pop. 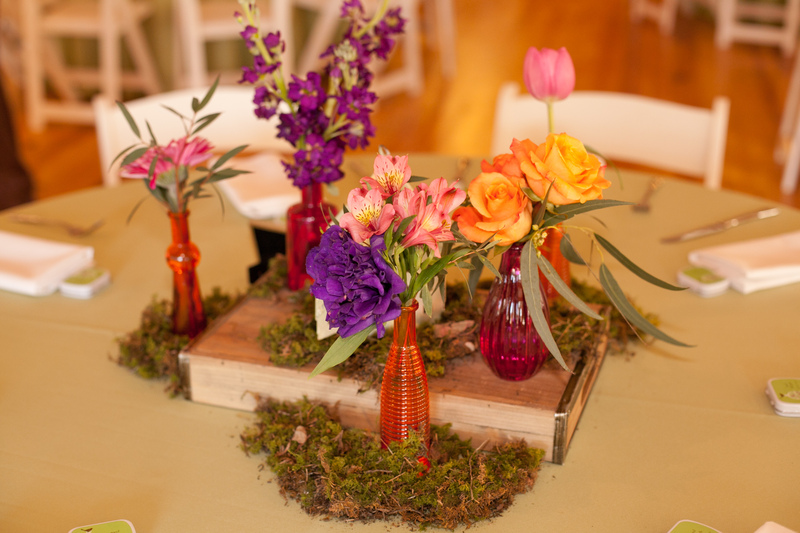 ← A Lovely Wedding at the Loveless Barn!